Ken-Lee Gardens is a condo community located on the Intracoastal in Lake Worth, Florida. This all-ages resort-style community has its very own beach on the Intracoastal with a BBQ area, along with a community pool and a manager on-site. Ken-Lee Gardens is unique in that every unit has a view of either the pool or the Intracoastal! If you love to live near the water for fishing, kayaking, or relaxing on the beach then this may be the perfect community for you! 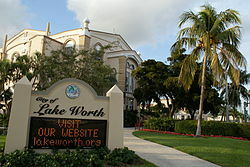 Ken-Lee Gardens is just 5-minutes from Downtown Lake Worth, Lake Worth Beach, and the Snook Islands Natural Area. You can spend the day on the beach, enjoying a nature walk through the mangroves looking out for dolphins or manatees, or exploring the historic streets and the boutique stores, bars, cafes, and restaurants. Golfers can be at Lake Worth Golf Club in just 10-minutes. There are many excellent private and public schools in the area, and amenities and activities for the whole family to enjoy at the nearby John Prince Park. The I-95 is easily accessed from the community, which means easy travel throughout the larger area for work or pleasure. This community is a real hidden-gem, and if you’re lucky enough to find a unit for sale you should snap it up! If you’re looking for something similar, you can take a look at Grand Palm, Dottor Condo, Blackwell Park, and El Castelay. I am interested in learning more about Ken-Lee Gardens Condo homes.